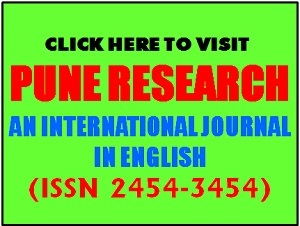 It gives me an immense pleasure to inform you that submit high-quality written works presenting original research with profound ideas and insightful thoughts. 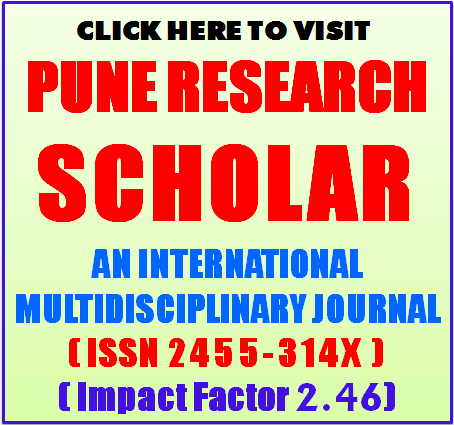 Research Scholars / Faculty Members/ Creative Writers/ Professors can send their authentic scholarly and unpublished research articles, form all subjects of Contemporary Studies from all over the globe. Authors should read the Guidelines for Authors on the journal's page before making a submission. Manuscript should be prepared according to the style and specifications of the journal's policy. Abstract This document gives formatting guidelines for authors preparing papers for publication in the International Journal of Engineering and Technical Research. The authors must follow the instructions given in the document for the papers to be published. The margins must be set as follows: Top = 1.7cm, Bottom = 1.7cm, Left = 1.7cm, Right = 1.7cm. Paper Title must be in Font Size 22, with Single Line Spacing. Authors Name must be in Font Size 11. Abstract should contain at least 250 words. Abstract explanation should be Times New Roman font, 09 Size, Bold, Single line spacing, text alignment should be justified.References and Author's Profile must be in Font Size 8, Hanging 0.25 with single line spacing. Index Terms About four key words or phrases in alphabetical order, separated by commas. Highlight a section that you want to designate with a certain style, and then select the appropriate name on the style menu. The style will adjust your fonts and line spacing. Do not change the font sizes or line spacing to squeeze more text into a limited number of pages. Use italics for emphasis; do not underline. Kindly, Fill Copyright agreement form sends to us. 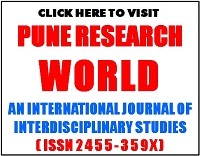 Copyrights of all materials published in PUNE RESEARCH TIMES An International Journal Contemporary Studies are held completely by the Journal and the respective author/s. Any reproduction of material from the journal without prior permission will result in the violation of intellectual property laws.